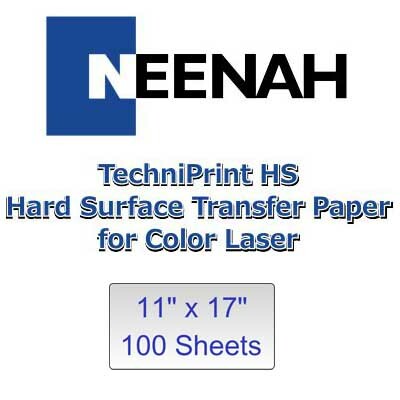 neenah® IMAGE CLIP® Laser Dark Transfer Paper, 11" x 17" size, (50) Imaging Sheets and (50) Transfer Sheets per pack. 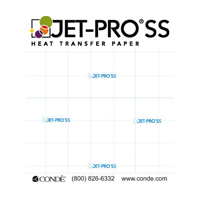 Use for applying color images to dark garments. 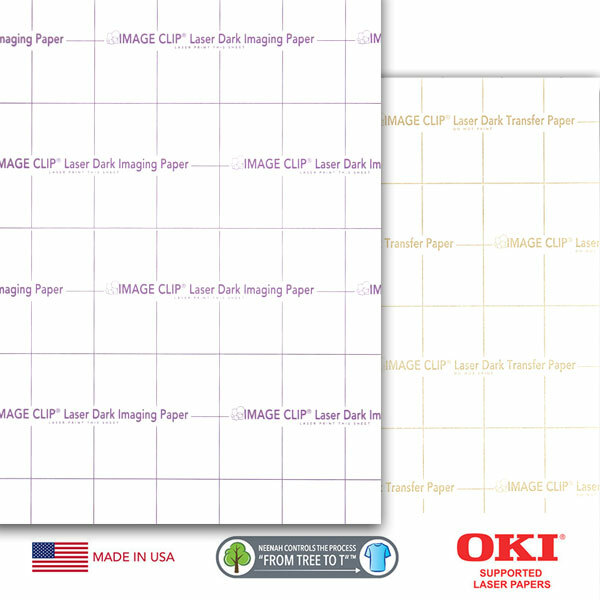 Sold by the pack. 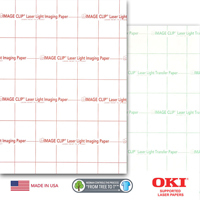 IMAGE CLIP® Laser Dark Heat Transfer Paper produces a self-weeding, vibrant and wash-durable laser printed transfer on dark and bright colored cotton and cotton/poly blend fabrics. 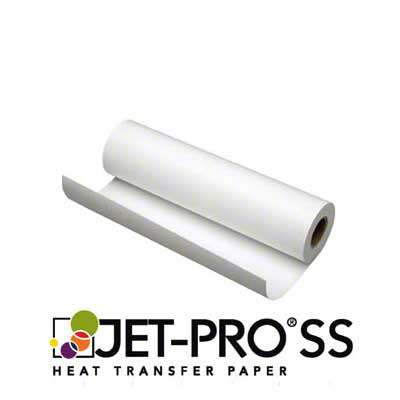 The product can be used to apply JUST the image (no background polymer)! 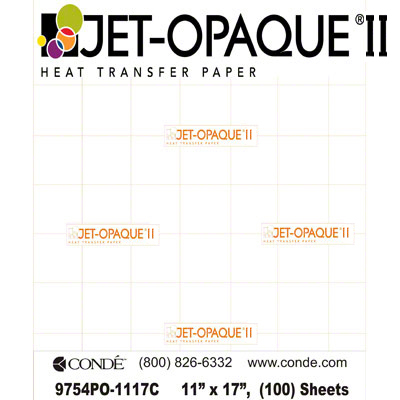 Condé offers FREE (Continental US) shipping on all transfer paper.